A heads up for those following this for their love of Rachel or Elizabeth, Elizabeth is not in this week’s episode. Maybe she’s gone to hunt down her invisible ladies in waiting? We may never know. Mary doesn’t have a good track record with love or trusting her heart. As a woman, Queen or not her power will always be overruled by any man she marries. Understandable then that she questions Darnley’s intentions and loyalty. Indeed she has doubts over whether he set a fire to make himself look better. The nobles are not too keen on Darnley but Mary plans to use his English blood to sway them. She is keen to capture England’s throne. This won’t end well for Mary. 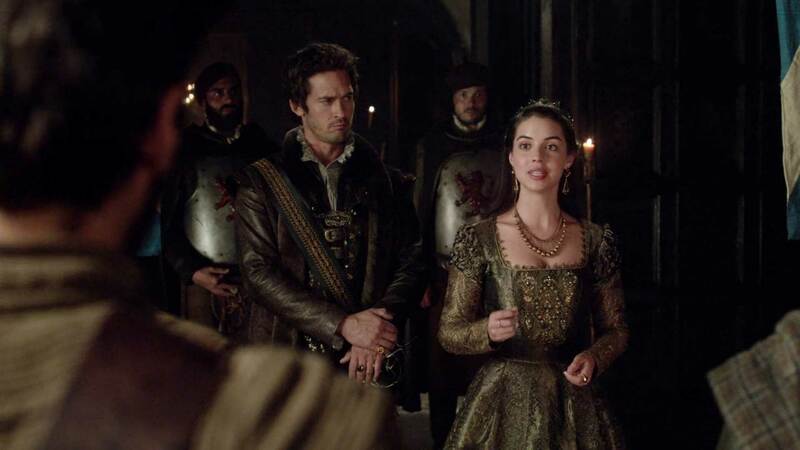 Mary chooses the Highland games as a good opportunity to announce her engagement to Lord Darnley. 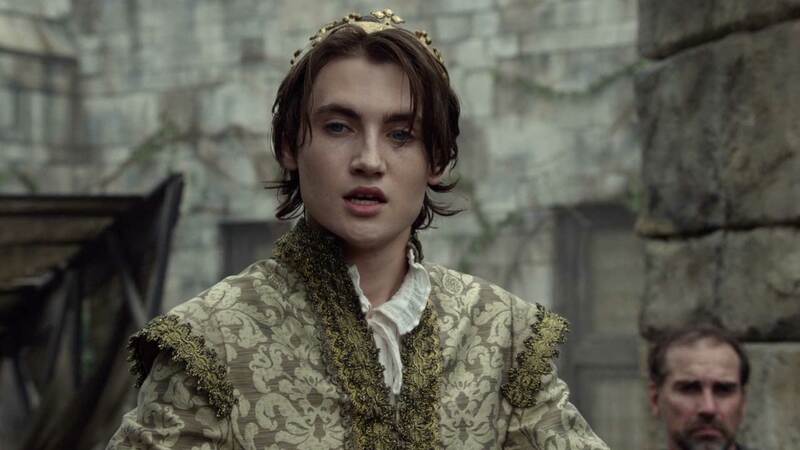 It doesn’t go down well when a noble, Lord Taylor (Chad Connelly) brings up Darnley’s father’s betrayal during the rough wooing(history fact this was when the Scots broke a marriage agreement which would have saw Mary marry Henry VIII’s son, Edward). Darnley is challenged to a dual for his honour but they instead decide on a boxing match. Darnley admits he started the fire to win over the villagers, Mary is not best pleased. He also states his name is Henry but Mary is having none of that either. (On a side note, Reign likes to pick and chose how it refers to characters, Henry Stuart, Lord Darnley is not alone there). Mary has James train Darnley, sweaty men anyone? There are​ accusations that Darnley tried to poison his opponent, it doesn’t look too good for their union. When Darnley is attacked, Mary wishes to delay the fight but Darnley insists it go ahead. All the male tops seems to be flying off lately. Despite his injured hand, Darnley comes out on top thanks to a little rule bending on Mary’s behalf. The following kiss is quite spectacular. I have respect for Adelaide, pulling that off with grace in a corset is a big ask. Emily Knox begs James to leave her in peace, when James confesses to Mary how guilt ridden she is they decide to attack Knox in another way. Despite her words Emily appears at the castle and her and James commit some more sin. In other news Lord Castleroy and little Rose arrive at court. It’s not happy news though, Castleroy has fell in love with another. Greer is strangely calm and releases him from their marriage. In France Catherine is busy dealing with Charles. He is taking his emo stage a little far, it’s time he has a bath and gets out of bed. Catherine is doing all she can to control the situation. As rumours start to spread of Charles blood covered walks in the woods, things go from bad to worse when a child is snatched from those same woods. It is refreshing to see Catherine doing some damage control without her poisons. If the Spanish, and Leesa get wind of the scandal blood would be spilt. When Charles appears in public it backfires and an angry mob throw blood at the King, Charles runs away whilst a helpless Catherine and Narcisse look on. Charles is found in a cave, he is really not helping his image. He’s been relieving the trauma of the Red Knights. France needs is a strong King, something it is solely lacking. Poor Luc should be enjoying life as a newlywed but Narcisse drops the bombshell that Leith is alive and wants him to play the good guy and let Claude know. Claude as expected runs straight to Leith promising that she will find a way for them to be together. Luc seems a nice enough guy but I’m rooting for them all the way. Catherine is less than impressed when she finds out the truth, Narcisse might want to have his food tested for a while. Luc agrees to give Claude an annulment but we all know it won’t be that easy. Narcisse stands in the way. Luc offers the idea of an open marriage but it’s a big ask of all involved. Mary’s marriage to Darnley looks to be on course for success, despite all the devastation it may bring. Mary is so hungry for the English crown she seems to have forgotten about the tiger currently guarding it.